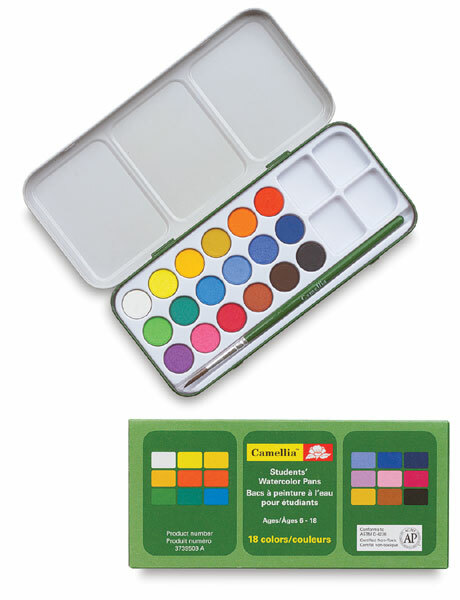 This set is the best, most economical way to introduce your students to the joys of watercolor techniques. These transparent colors give the student great control over the painting process. 18 Color Set — This set of eighteen watercolor pans comes in a tin with multiple mixing trays and with a quality brush. It’s perfect for plein air painting. ® Camellia is a registered trademark.